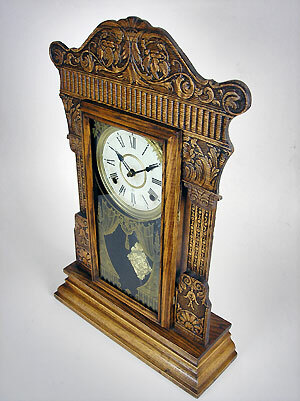 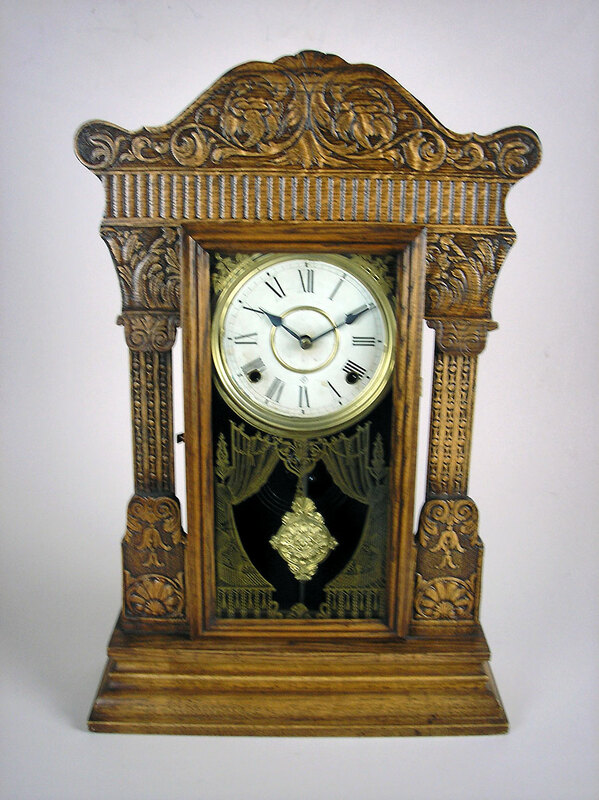 This is an American shelf clock by William L. Gilbert from Connecticut in America. 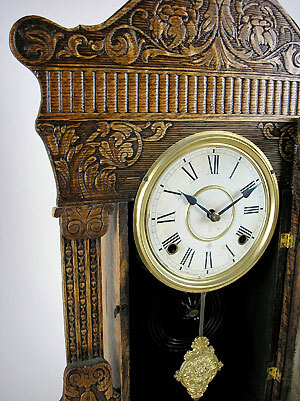 The clock has a pressed oak case and a painted dial with spade hands. The glass door has original edging and the gong-striking movement is of eight-day duration.